Verb. 1: to ask someone to marry you. 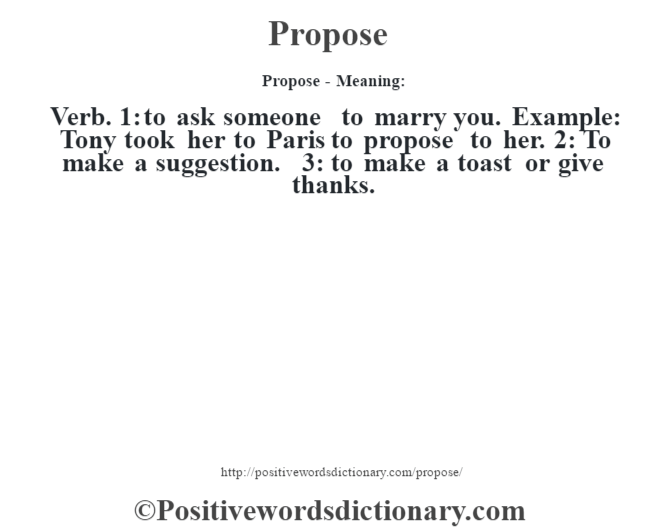 Example: Tony took her to Paris to propose to her. 2: To make a suggestion. 3: to make a toast or give thanks.